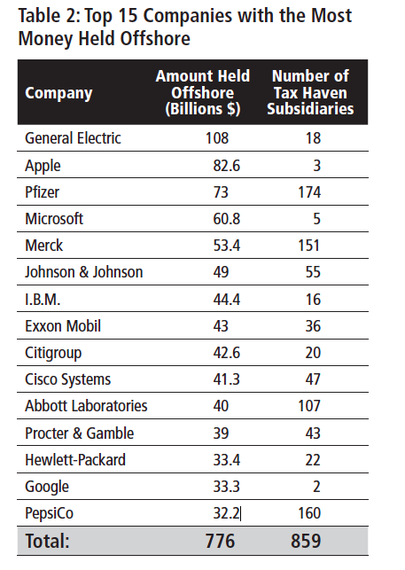 GE and Apple Do It, So Is Offshore Planning Really All That Taboo? Offshore accounts have made headlines recently, with 51 global jurisdictions agreeing to automatically share and exchange details of tax data. Included in this agreement is information on offshore accounts and their operational procedures. 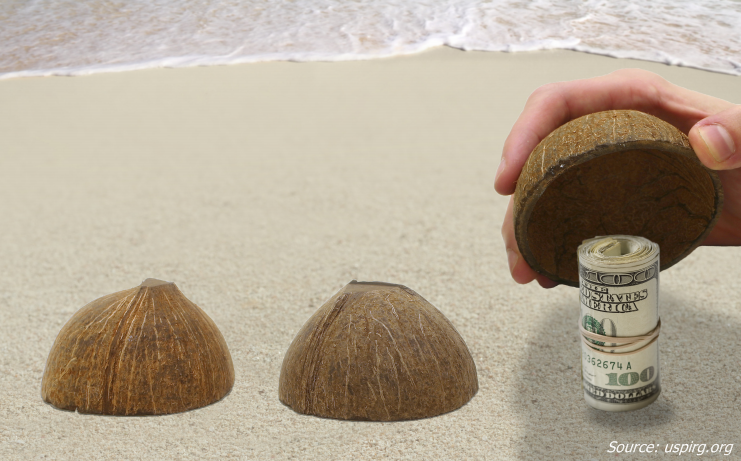 The decision brings new attention to overseas financial planning, and how top companies use offshore accounts to work around US tax codes. In 2013, a study from US PIRG created waves in the financial world by digging up juicy details on offshore planning strategies used by Apple, Google, IBM, and other major firms. For all those who missed the memo, here's a beginner's introduction to how industry titans use offshore planning to get ahead. The term "offshore" means doing business or registering your business in another country, typically for tax benefits or other financial reasons. An "offshore company" is a firm that is incorporated in a foreign country. Offshore companies do not have to abide by the tax codes in their home countries until they conduct business operations in those specific regions. According to the US PIRG study, corporate giants are able to cut out over 90 billion in federal income taxes annually through offshore planning. 82 of the 100 largest publicly-traded companies have branches or subsidiaries overseas as of 2012. Put together, the top 15 companies with offshore planning subsidiaries have a combined value of 776 billion in overseas assets. In short, offshore planning allows businesses to avoid their home nation's tax code restrictions by operating or owning a subsidiary in a more tax-friendly overseas location. 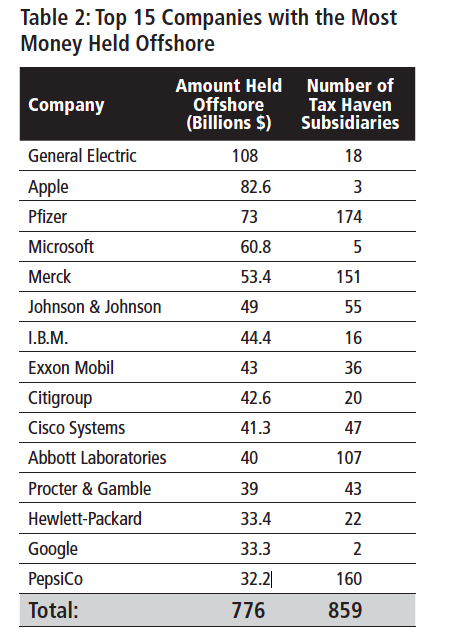 The US PIRG study notes that by keeping $102 billion offshore, Apple pays almost nothing in taxes. Apple has three Irish branches that operate free of both Irish and US tax laws. Two of these subsidiaries don't have any employees. Some of the other big names include General Electric, with $108 billion in offshore funds, and Pfizer, with $73 billion overseas and 174 subsidiaries in 'tax haven' international areas. 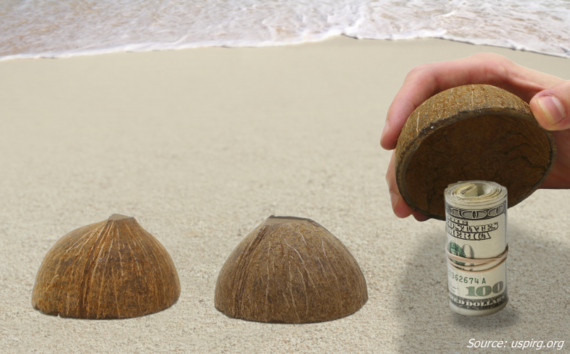 Is Offshore Planning an Asset, or a Risk? While mass media makes offshore planning synonymous with tax evasion, there's far more to the story. According to Sovereign Man, "There are 100 percent legitimate ways to structure your business interests overseas and realize significant benefits from an asset protection standpoint -- as well as a tax-standpoint." The site notes that Google was able to remove $3.1 billion in owed taxes "in totally legitimate ways." The site gives an example of how business owners can take advantage of beneficial workarounds in the US tax code: "Let's say you have a profitable company overseas. Now imagine that instead of paying taxes on your profits every year you can reinvest that capital in your offshore company every year for 30 years, and only pay taxes if you decide to sell the company after 30 years." These tax benefits are completely legal if you're willing to do the legwork. According to Howard Rosen, Esq., a partner at Donlevy Rosen & Rosen, experts in offshore asset protection, offshore planning has a completely unjustified association with criminality and evasion. "There are a lot of negative thoughts about offshore planning with various root causes," says Rosen. "One of the misconceptions is that if you set up an offshore account, you'll have to repatriate the cash if you're ever sued or face jail time for civil contempt. But if an offshore arrangement is competently prepared and implemented, you will NOT be taken to jail -- US law doesn't permit it." Others agree that today's international business operations are not just for large multinational companies. Entrepreneurs and small business can just as easily take advantage of offshore opportunities to diversify investment channels. And ExpatBriefing.com is quick to point out, offshore banking has many benefits essential to anyone who is regularly transferring money between international accounts or currencies. 'Competently prepared and implemented' is a key phrase, here: offshore planning isn't something you can set up and execute without due diligence and extensive planning. But the big guys have planned it just right. In the end, Apple's 10-K filed with the Securities and Exchange Commission indicates that the company would pay a U.S. tax rate of 34.5 percent if it brought its offshore profits back to the U.S.. Because our U.S. tax code gives companies credit for paying taxes abroad, we'll never see that tax revenue. But that doesn't make the entire world of offshore finance somehow deceitful, or reproachable. For corporate giants like Bank of America, Google, Pepsi, Apple, and IBM, investing time into reducing their tax obligations through offshore planning is financial arrangement that will continue, so long as our tax system allows it..